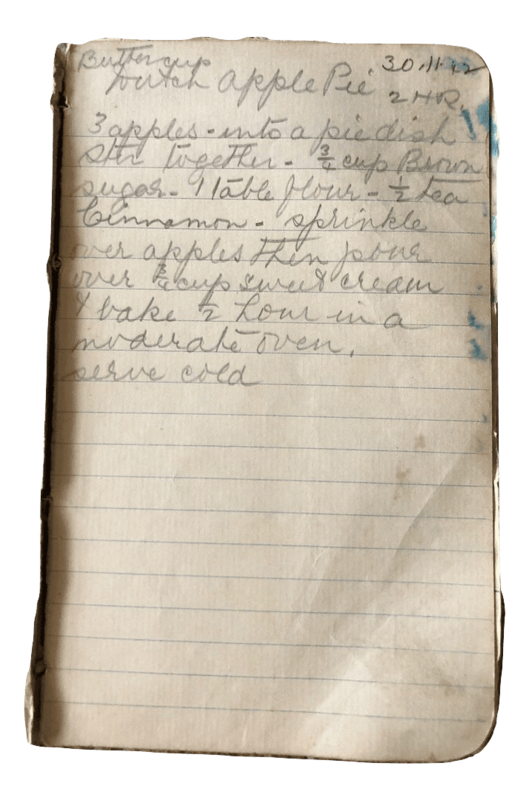 This Dutch Apple Pie recipe is from the pages of Nana Ling’s handwritten recipe book and dated November 1942. Dutch Apple Pie recipes go back to the middle ages, according to Wikipedia, and are characterised by a crust on the bottom and sides, apple slices, cinnamon and sugar. There’s a lattice-top version and crumb-top version. This recipe is the crumb-top version. 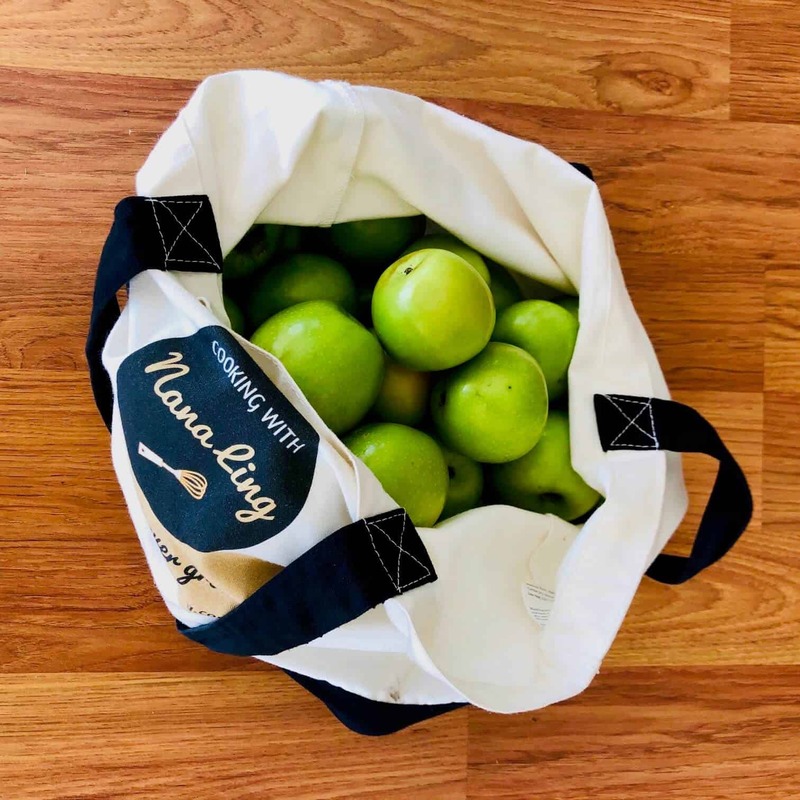 March signals the start of the Granny Smith apple season in Australia. 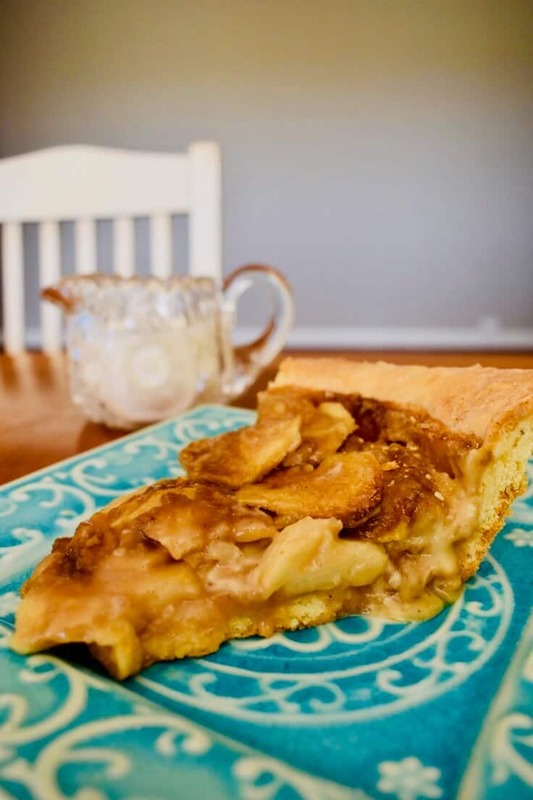 This Dutch Apple Pie recipe was made all the more sweeter with farm-fresh Granny Smith apples I picked up at my local farmers market, the Slow Food Hunter Valley Earth Market. Other apple varieties that suit a Dutch Apple Pie include Jazz, Pink Lady, Cortland and Jonathan. 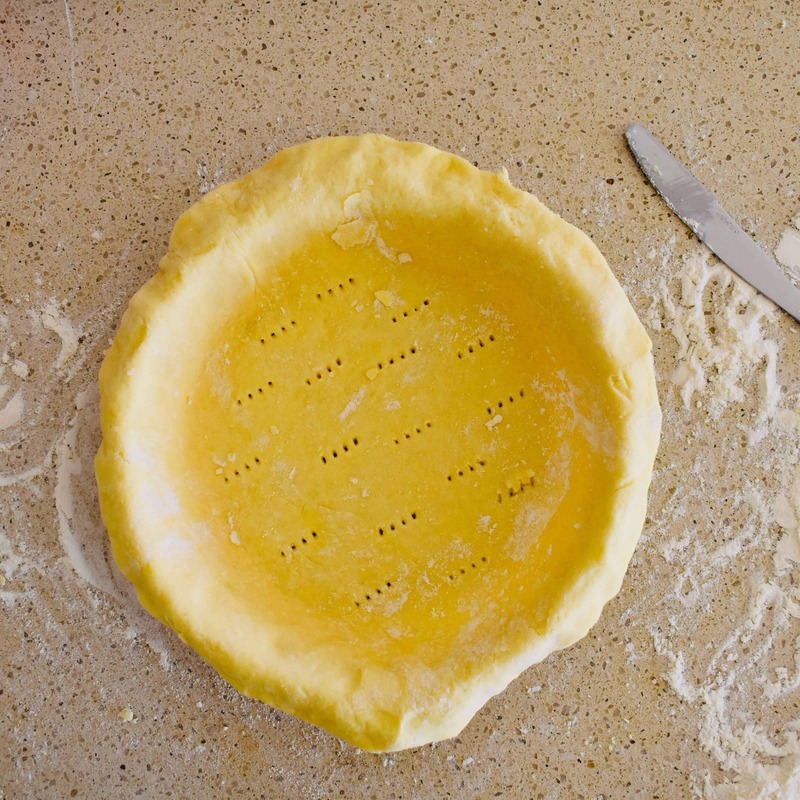 When making this recipe, use a deep pie dish and blind bake the pastry shell first. A Dutch Apple Pie recipe from 1942. 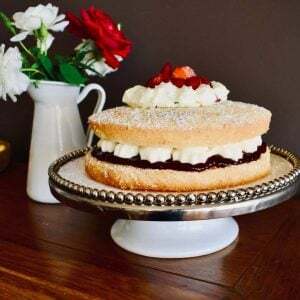 Easy to prepare and best served cold with cream. Pre-heat oven to 180 degrees celsius (fan-forced). Peel and core apples, then finely slice. 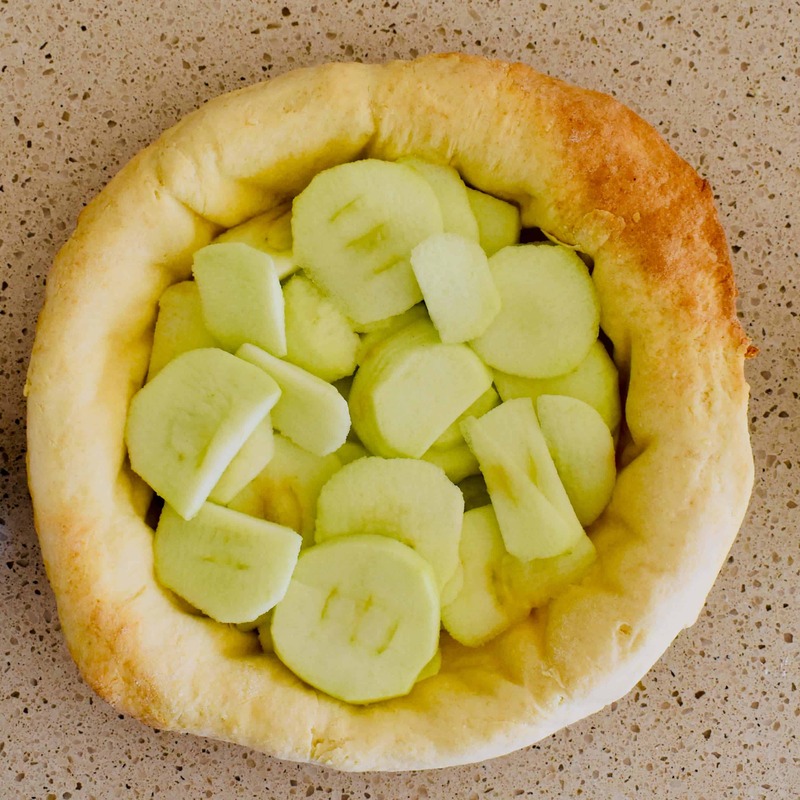 Layer apple slices in a blind baked shortcrust pie shell (baked in a deep pie dish). Mix sugar, flour and cinnamon. Sprinkle over apples. Pour over cream, using a knife to gently separate layers to allow cream to reach the bottom layers. Allow to cool and then place in the fridge. Serve cold with cream or ice-cream.